On 19 May 2017, the 5th International Numismatic Conference of the Coin Cabinet of the Royal Library of Belgium will be organized in Brussels, focusing on the phenomenon of overstriking, reminting and the duration of circulation of coins in Antiquity. As human beings, coins are born, live and die. Although we are well informed today in which quantities they were “born” and how they “lived”, we still know nearly nothing about how they “died”, i.e. when they stop to be legal tender. Literary sources are extremely scanty on this important historical issue and archaeological contexts often offer tricky interpretations. Most of the time, subtle strategies have to be built to determine when coins ceased to be admitted as coins. In these circumstances, overstrikes are a great resource for the Greek world. In Roman times coin reforms were very frequent especially from the 3rd century AD onwards. Reminting the existing monetary stock was probably a way to increase the state’s revenues but the mechanisms are not well understood. From the Middle Ages onwards, recalls of coin issues and reminting were regular practices. The English king Edward I even brought 400 additional workmen over from France and the Low Countries for his recoinage of 1300. It is the intention of this conference to offer a wide panorama on the “live” of coins, their survival and their disappearance in crucibles or deposits. 11.00 « Les séries monétaires » et nomisma : comment classer les monnaies grecques? 11.45 Overstriking in the Greek world: a tentative overview. 12.15 Les refrappes dans le monde grec : apports et limites des analyses métalliques. 14.15 Roman over Roman: revaluation overstrikes in the Roman Republic. 14.45 The crisis of small change in central Italy of the second and first centuries BC, and the function of overstriking. 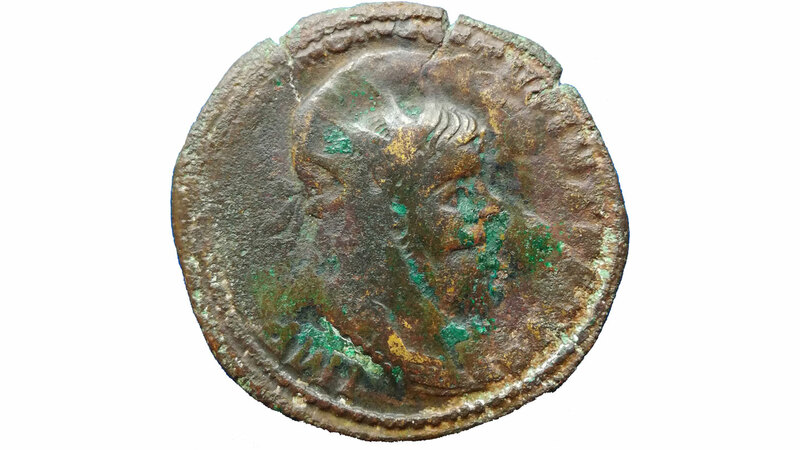 15.30 Overstriking and reminting in Roman provincial coinage: some preliminary observations. 16.00 Overstriking in the 3rd century AD: an overview. 16.30 – 17.00 Usure et obsolescence : deux fausses «bonnes raisons» à la refrappe des monnaies dans l’Antiquité. Participation is free of charge, but please confirm your presence by e-mail. Lunch is offered at 10 EUR (by inscription only). Public transport (train) : opposite of Brussels Central Station.